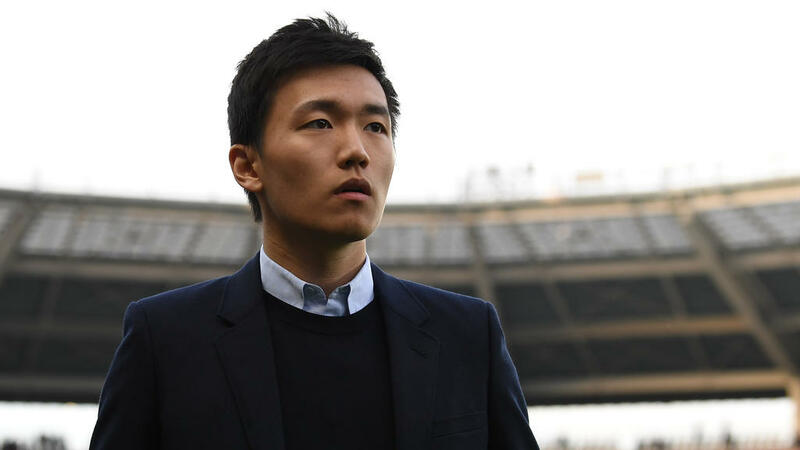 Jose Mourinho may have enraged Juventus fans by taunting them after Manchester United's dramatic 2-1 win in Turin on Wednesday but Inter Milan's Chinese president Steven Zhang was impressed by his attitude. Mourinho's side snatched a vital Champions League victory in Turin thanks to Juan Mata's free-kick and a Leonardo Bonucci own goal in the last four minutes. "They insulted me for 90 minutes," said Mourinho. "I just made a gesture that I wanted to hear them louder. I probably shouldn't have done it, with a cool head I wouldn't have." And Zhang -- always very active on social media -- saw the photos on Instagram and immediately placed a "like" to the post on FcInter1908, a partner of Italian newspaper Gazzetta dello Sport, triggering further comments. Former Manchester United star Paul Scholes had slammed Mourinho's gesture. "This is everywhere he goes. You need to win with a bit of class," said Scholes, 43. "I don't think there's any need for it but that's the way he is." Mourinho's treble with Inter Milan in 2010 -- which included his second Champions League triumph after also winning it with Porto -- provided an enormous boost to the Portuguese's reputation as a top-class manager. Mourinho spoke in Turin of being part of the "Inter family" and the 55-year-old's mocking of rivals Juventus pleased fans of the club who had snatched a 1-1 draw against Barcelona on Tuesday with a late Mauro Icardi goal. Carlo Ancelotti's Napoli are top of Group C ahead of last year's finalists Liverpool despite being held to a 1-1 draw by Paris Saint-Germain in midweek.